Backed by huge industry experience and market understanding, we are involved in providing IT Consultancy Service for our valued patrons. Training for Financial Accounting Software. Guidance in computerization of Accounts Department, Set-ups, Reports, Configuration and layouts etc. Interact with the technical personnel & the user department for defining the user requirement in a formal manner. We at IndySoft create powerful, feature-rich, and easy-to-use themes that help you manage and setup your website without the headaches of traditional software. A good impact of the business is made by a strong tagline. The tagline does the work of a Small but effective description of your business. Our business Experts will suggest you taglines that would completely match for your business. Definition. A managed services provider (MSP) is most often an information technology (IT) services provider that manages and assumes responsibility for providing a defined set of services to its clients either proactively or as the MSP (not the client) determines that services are needed. 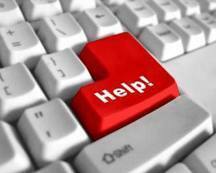 Smart IT Solution Provides Best IT Consultancy Services to meet your Organisation Needs. Cutting-edge technology refers to technological devices, techniques or achievements that employ the most current and high-level IT development. We bring enlightment into the businesses of our customers. We first understand the business need of the client, and then work with them to design and deliver efficient solutions with reliability, scalability and upgradeability. 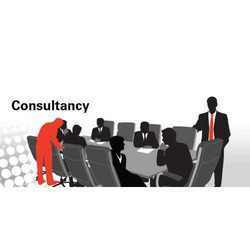 Creative Consultancy is one of the most interesting & challenging avenues in today’s market scenario. Creative consultancy simply put means offering creative inputs & innovative concepts relating to the requirement of the client.